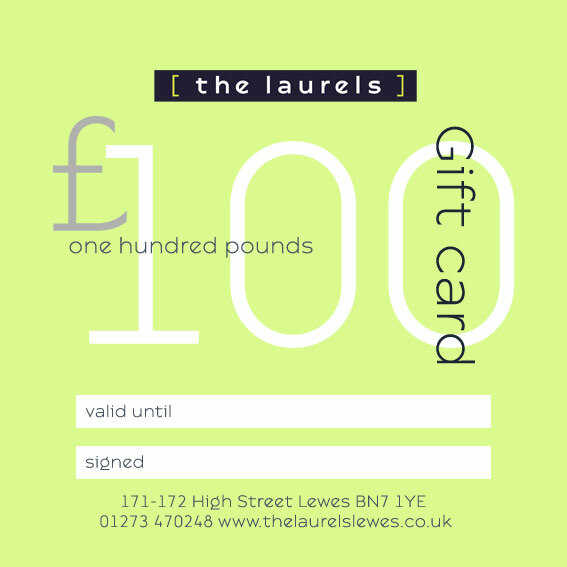 The Laurels Gift Card is the perfect way to treat someone special. We will send out the card to you signed and dated for you to add your own message. 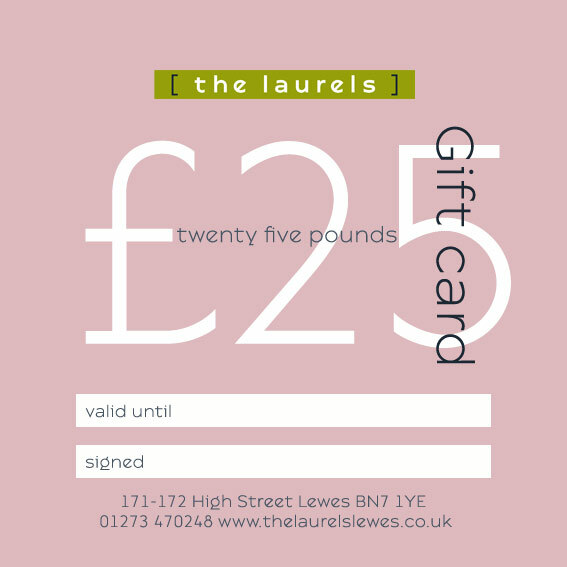 If you would like us to send it directly to your friend just send us the message details here, including your message and name/postcode of recipient. 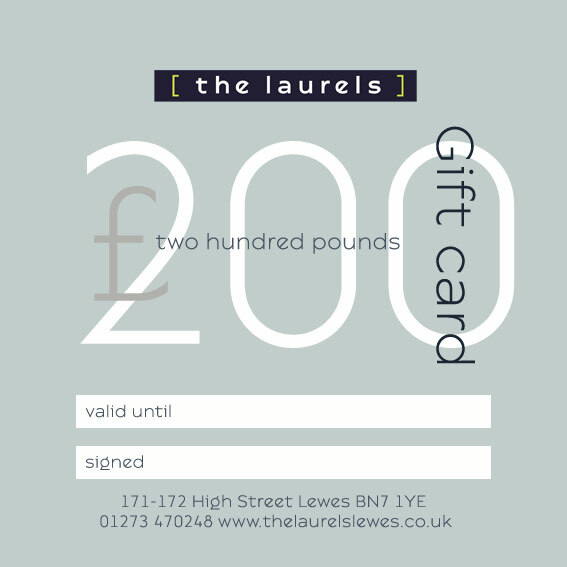 Available in £25, £50, £100, £150 and £200 with free postage applied if you are only ordering the gift card. 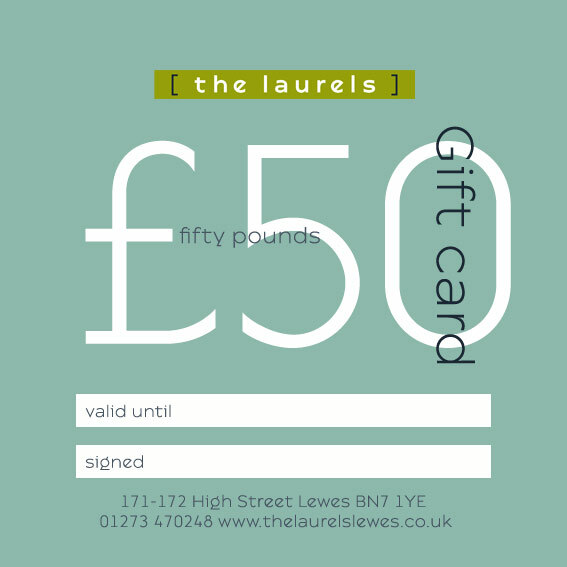 The voucher is valid for one year to be used in The Shop in Lewes or on this website by calling us to receive a valid activation code. 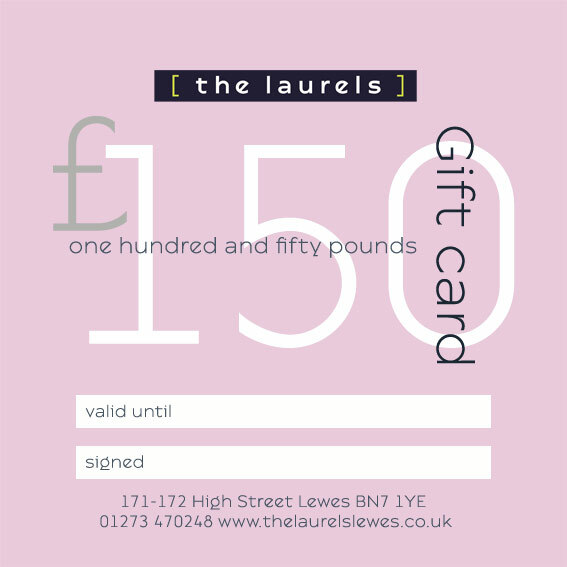 Your gift voucher will be sent in a blank card for you to add your personal message, if you would like us to send it directly to your friend just let us know the message you would like us to include, this will be written by hand.